Potential details about The Conjuring 3 story have made their way online. According to sources close to the project, the third installment in the franchise will involve a court case. The first two movies in the franchise centered on the real-life events from the case files of paranormal investigators Ed and Lorraine Warren. Back in 2017, producer Peter Safran stated that the third film would not involve another haunted house in an effort to keep the horror series from becoming stale. The Conjuring 3 won’t be directed by James Wan this time around, and will instead be helmed by Michael Chaves. The movie will reportedly focus on a man who is in the middle of a murder trial. The man claims that he was possessed by a demon at the time of the murder. That’s as far as the new details about the story go, but it certainly sounds like a breath of fresh air for the horror franchise. 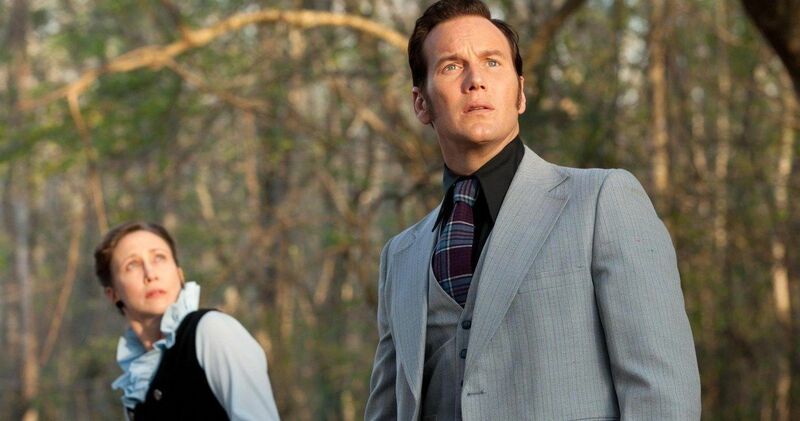 Additionally, Patrick Wilson and Vera Farmiga will be reprising their roles as Ed and Lorraine Warren, who will probably have to investigate the man’s claims. It’s unknown at this time if The Conjuring 3 will follow real-life events like the last two films. However, it would seem weird to deviate from that structure for the third movie. Also, the details are from an anonymous source, so we’ll have to treat this as a rumor for the time being, though the basic storyline leaks do seem legitimate. It will be interesting to see how the series takes shape out of the haunted houses and with a new director behind the camera. James Wan isn’t directing The Conjuring 3, but he is remaining on board to produce. New director Michael Chaves left an impression on Wan while making The Curse of La Llorona and convinced the director to let him have a crack at The Conjuring franchise. Wan had this to say about Chaves hopping on board to helm The Conjuring 3. The Conjuring Universe also has Annabelle 3 on the way, which may have the Warrens in a small role. The Annabelle spin-offs have been criticized for not including the Warrens in the past. The Crooked Man is also on the way, so there’s a lot to look forward to for horror fans. New Line has a lot more coming down the line, which sees no sign of slowing down. The Conjuring 3 story details were first reported by Bloody Disgusting.